A chronic disease, type 2 diabetes mellitus (T2DM) prevents the body’s cells from responding properly to insulin. Often, this effect can lead to increased levels of blood glucose (sugar), also referred to as hyperglycaemia. With many solutions available, the Perth Sports Injury Clinic team can help you manage type 2 diabetes. Exercise can be particularly helpful in treating your condition. How can exercise help type 2 diabetes? 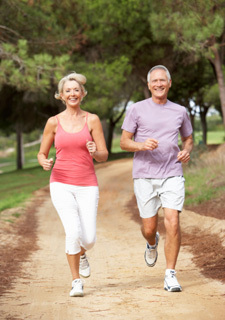 By stepping up your levels of physical activity, you may cut the incidence of type 2 diabetes. Moreover, by better controlling your blood glucose, you may be able to cut back on your medication levels. In addition, exercise can help you maintain proper muscle mass and improve lung and heart fitness, which in turn may have positive effects on your physical function. There are some risks in exercising for people with type 2 diabetes; however, the risks of remaining sedentary may be greater. You may benefit from consulting with your health professional before beginning. This consultation may be especially necessary for people with cardiovascular disease, peripheral neuropathy, hypertension, or obesity. Our therapists are happy to co-manage your case with your other healthcare practitioners. To get started or find out more, contact our team today!